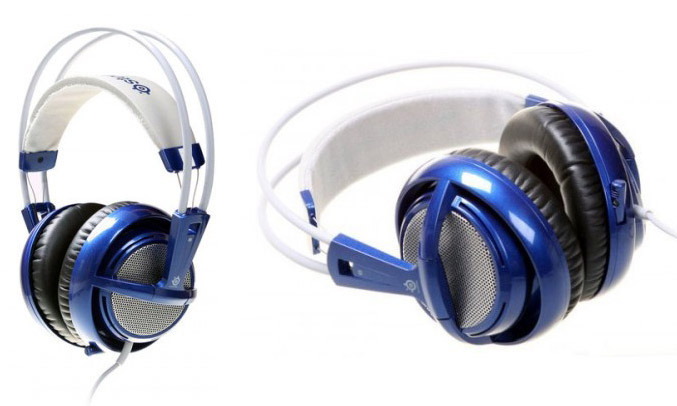 SteelSeries comes out with a new version of its Siberia V2 gaming headset in a new limited-edition blue color, added to already available black, white, red and orange version. The Siberia v2 features some enhancements in sound quality, comfort and its microphone. The headphones are equipped with 50mm driver units, with 10 Hz to 28 KHz frequency response, the ear cups have a thick leather padded cushions built from sound dampening foam and also providing passive noise reduction, and improve comfort during long gaming sessions. The Syberia v2 also offers an uni-directional microphone, which can be retracted from the left ear cup and integrated volume control located on the cord. The price is set at €79.99.